LAST REMAINING PLOT - PLOT 5. 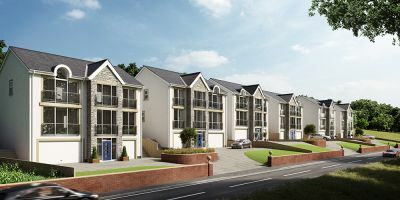 Located within a long-established, popular residential area, we offer a choice of self-build serviced plots with detailed consent for the construction of a detached property. Set in a semi-rural location yet with good access to the M4 corridor and the market towns of Llandeilo and Carmarthen. The plots each have a approximate frontage of 16.7m, and depth of approximately 55m and benefit from detailed planning consent for the construction of a detached dwelling. The eventual properties will be of excellent design providing flexible living accommodation located over three levels. 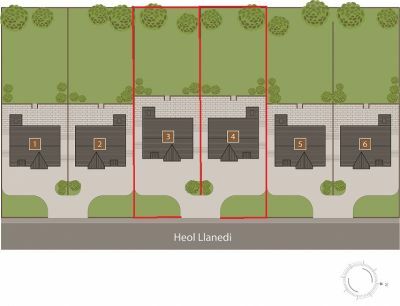 With open fields to the rear, River Loughor to the front, sweeping views of the Loughor Estuary to the South and the foothills of the Black Mountains to the North, the properties will be ideally located to make the most of the beautiful welsh countryside.